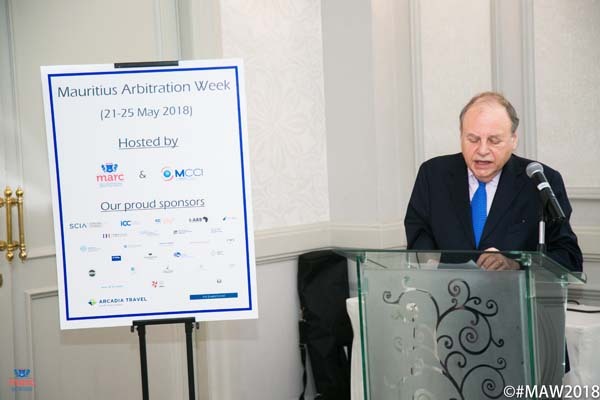 The MCCI Arbitration and Mediation Center (MARC) hosted the first edition of the Mauritius Arbitration Week, from 21 to 25 May 2018. 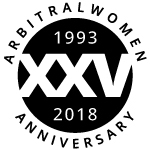 This successful week was marked by a series of events, presentations and discussions on hot topics by over 20 leading practitioners in the field of arbitration. 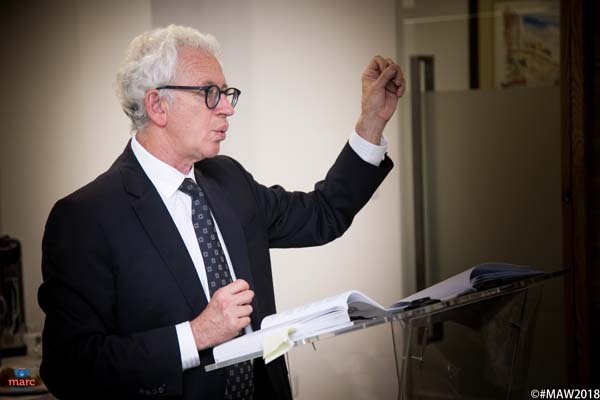 The week was launched by Mr. Neil Kaplan QC, President of the MARC Court. 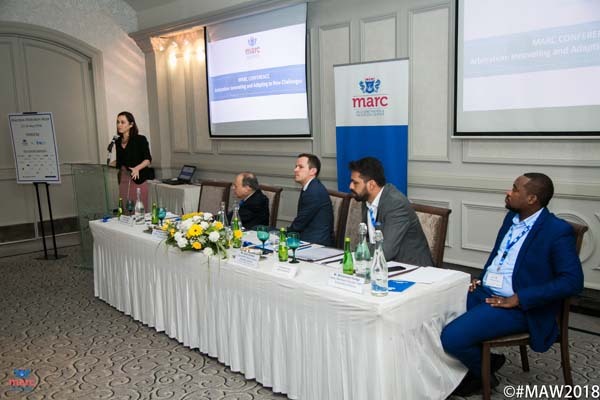 During the main conference held on 21 May, MARC unveiled its innovative new arbitration rules. 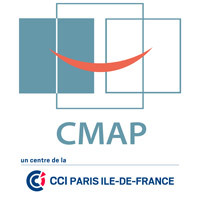 The new rules are meant to reflect best international practice and include a comprehensive tool kit of tried and tested provisions as well as innovative provisions. 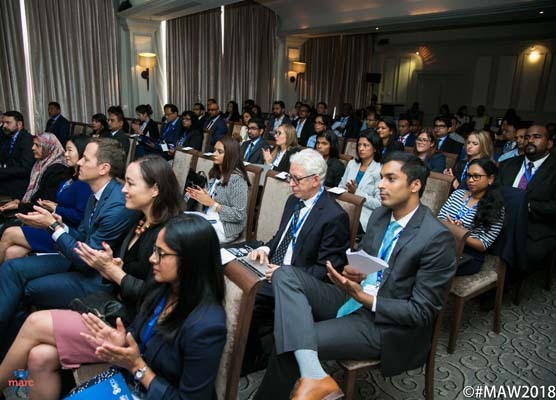 The various events of this first Mauritius Arbitration Week was attended by over 100 participants, mainly lawyers, judges, arbitrators and other ADR specialists. 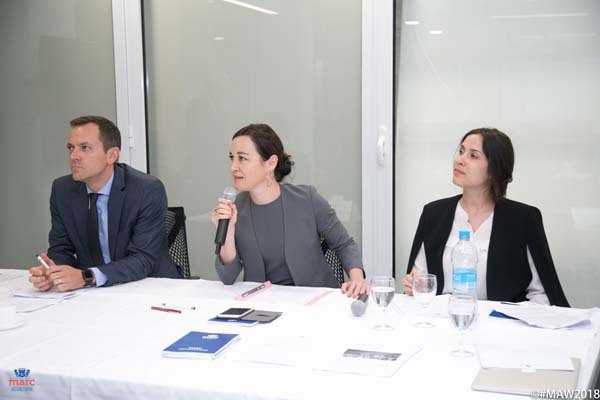 The events included a training for arbitrators on award writing, a training for tribunal secretaries, a mock arbitration case, MARC 45 and ICC YAF events, as well as an Arbitral Women Session and a joint MARC-CIArb Event. 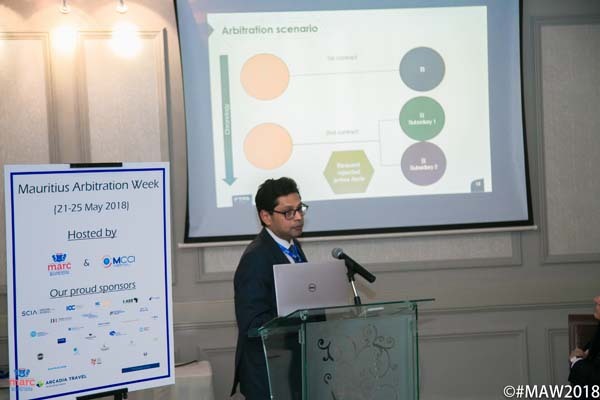 The Mauritius Arbitration Week is organised by MARC, the MCCI Arbitration and Mediation Center. 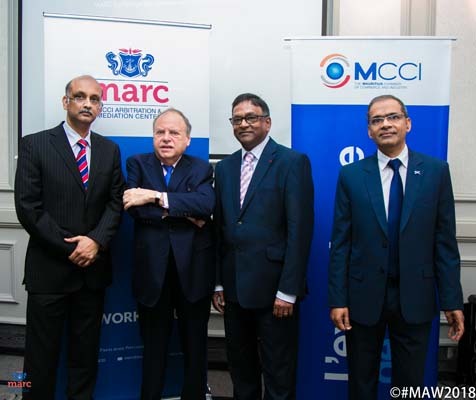 MARC is an autonomous, non-governmental Alternative Dispute Resolution branch of the Mauritius Chamber of Commerce and Industry (“MCCI”), the first private sector institution established in 1850 to represent businesses. 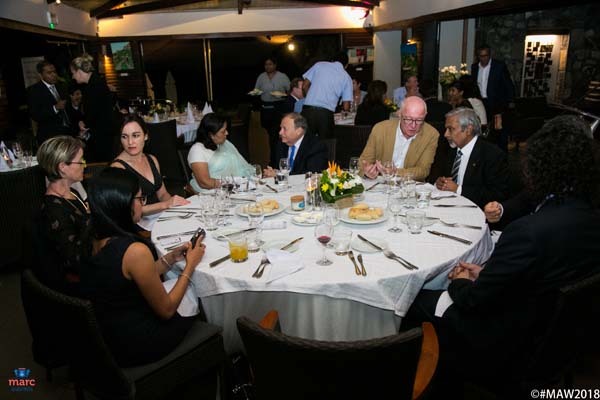 MCCI is a non-profit making organization that cooperates with and is well regarded by corporations, governments, the legal sector and other private sector stakeholders in Mauritius and the Indian Ocean region. 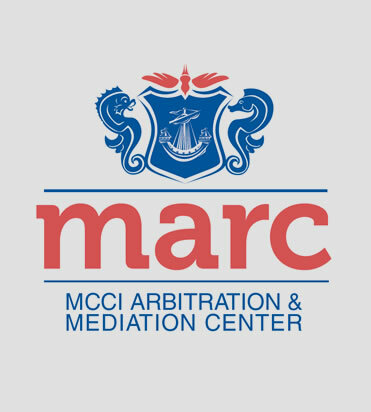 MCCI pioneered institutional arbitration in Mauritius by setting up the MCCI Permanent Court of Arbitration in 1996, which was rebranded as MARC in 2012, and constantly strives to spearhead developments in arbitration and other methods of alternative dispute resolution (“ADR”) in Mauritius and the Indian Ocean region. 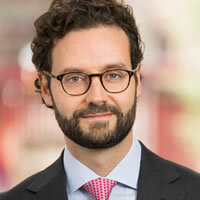 MARC firmly believes that strengthening best practices in the field of dispute resolution will promote cross-border trade and investment by making underlying transactions more secure and predictable. 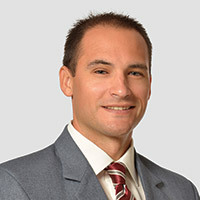 MARC provides neutral, rapid, efficient, flexible and confidential means of resolving disputes through mediation or arbitration as alternatives to litigation before state courts. It also offers excellent hearing and meeting room facilities and services at its offices in Port Louis, Mauritius. The MARC team would like to thank all the speakers for their contribution in making MAW 2018 a success. *Please note that details regarding speakers were last updated in May 2018. **Please note that details regarding speakers were last updated in June 2018. 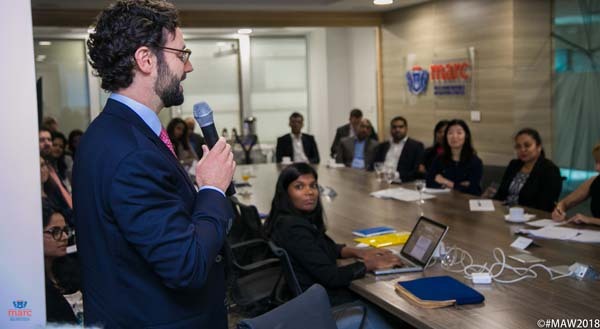 "MARC’s first Arbitration Week was very successful due to strong local support as well as the presence of senior practitioners from overseas who genuinely see the potential for Mauritius to gain a place on the world arbitration map. The conference was supported by the Government in the presence of the Acting Solicitor General. Many people attended the whole week and were thus able to benefit from various training events including the first Tribunal Secretaries course held in Mauritius under the guidance of Sarah Grimmer, the Chair of the MARC Advisory Board. I was particularly proud to be able to announce the coming into force of the new cutting edge MARC Arbitration Rules drafted by a small committee guided by Cheng Yee Khong, a Court member. I was also pleased to announce that Lord Neuberger and Mrs Peeroo had also joined the Court. 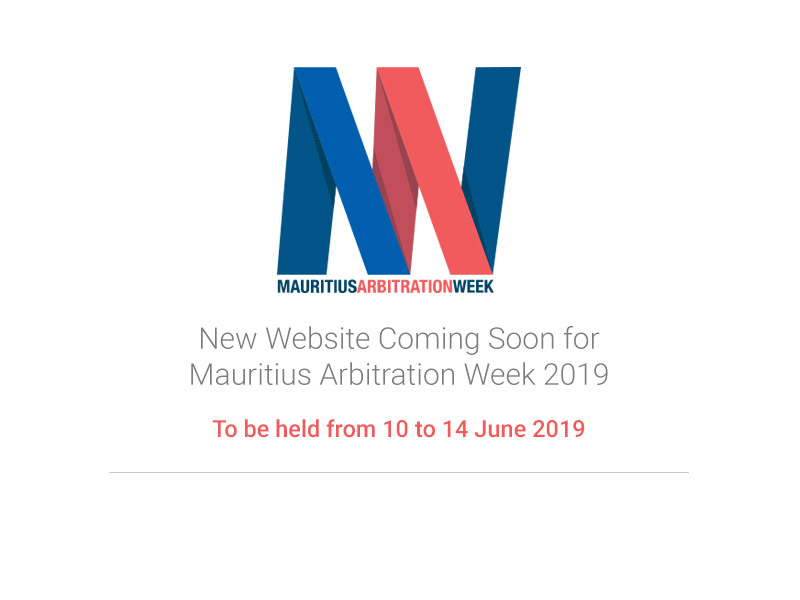 I look forward to Mauritius Arbitration Week 2019!" 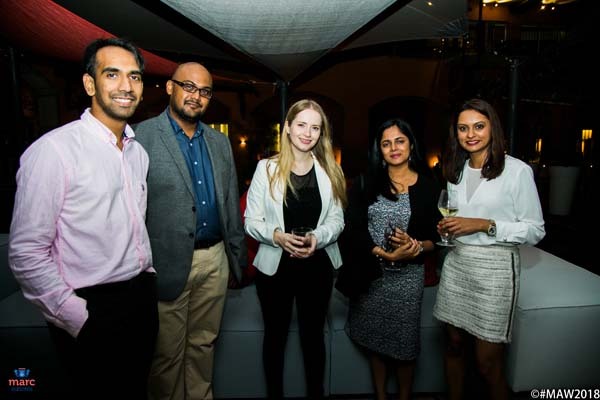 "The inaugural Mauritius Arbitration Week 2018 was a well-organised and enriching event. Each day comprised sessions that were innovative, interactive and informative. The venues were conveniently located meaning that all sessions were well-attended. As the number of attendees was not vast, over the course of the week, people got to know each other in a way that is not possible at larger events. 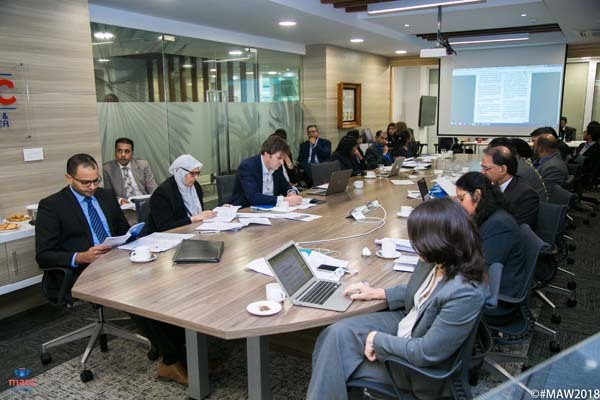 I thoroughly enjoyed the week and would recommend it to anyone interested in Mauritius’s development as an arbitration venue, and its economic links with countries on the African continent and in Asia, particularly along the Indian Ocean rim." "The 1st edition of the MAW was evidently a success, which you do not simply measure by the number of attendees, but also by their quality. Youth was there, ready to embrace the future of Mauritius as THE next arbitration venue in the region and beyond to become the interface between Africa and Asia. All was there: the spirit, the ambition, the standard, the legal frame, the diversity and, last but not least, Port Louis' sun. Because, yes, the future of arbitration in Mauritius looks bright and no doubt this 1st MAW will have contributed thereto." 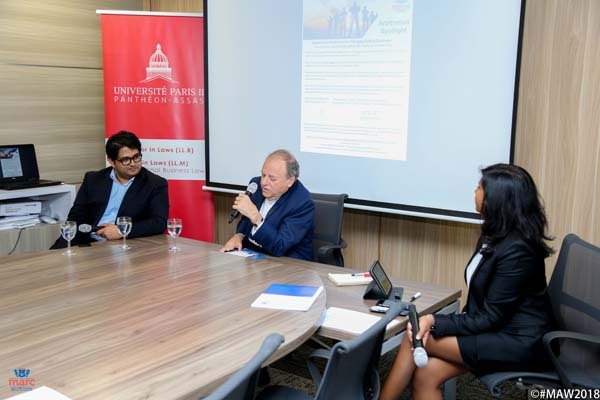 "The quality of the program and speakers and the impeccable organisation of the Mauritius Arbitration Week 2018 augur well for the establishment of Mauritius as a major arbitration centre in the region. 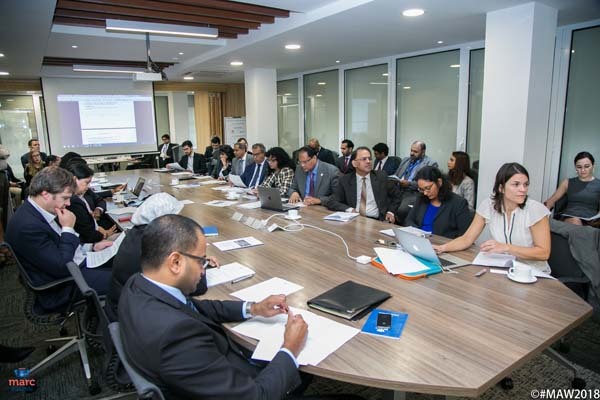 The Arbitration Week was testament to Mauritius' emergence as an increasingly prominent jurisdiction for international arbitration." "I was happy and honoured to attend and speak at the Mauritius Arbitration Week 2018 organised by MARC. The launch of the MARC rules provided an apposite basis around which the Arbitration Week was organised. 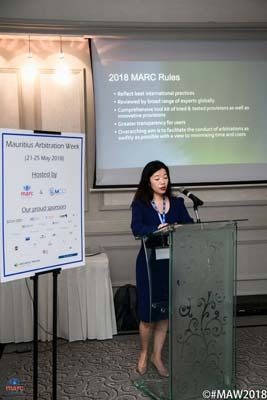 The revision and relaunch of the MARC Rules is timely as Mauritius seeks to position itself as a leading arbitral centre given its position at the cross roads between Africa and Asia and as a private sector organisation, MARC is best placed to provide a leading role in Mauritius developing as a leading arbitral centre on the African continent. 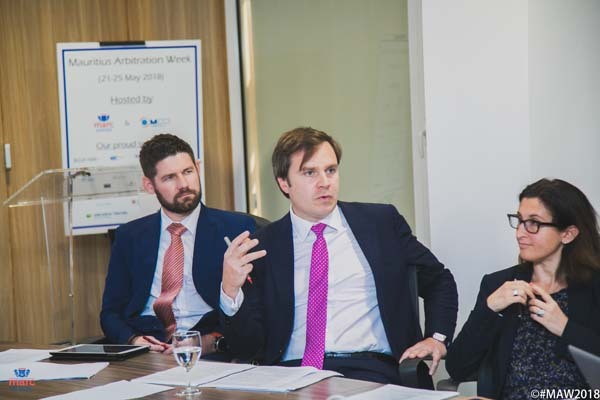 The range and calibre of speakers and topics organised for the Arbitration Week was impressive. The talks were informative and the discussions and contributions from the audiences were thought provoking. 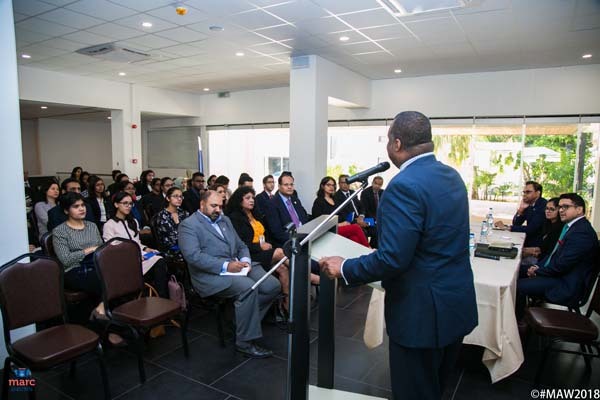 The social and networking events showcased the beauty of Mauritius as an island and the incredible warmth and hospitality of the Mauritian people." 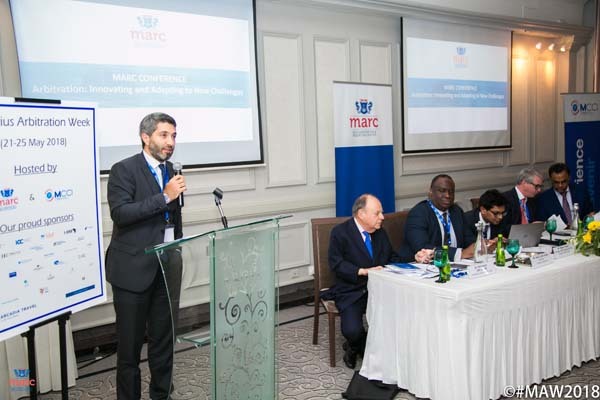 "At the outset, I would like to thank the MCCI for hosting the first Mauritius Arbitration Week. We wish to acknowledge the efforts of the organising committee in inviting eloquent speakers from different regions of the world. 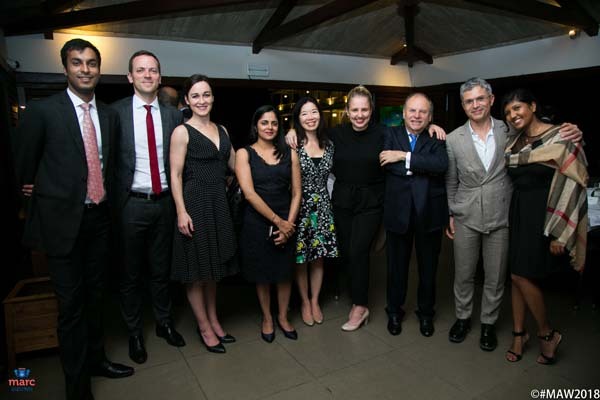 This event provided an opportunity for seasoned practitioners, young lawyers and students to be acquainted to new trends in International Arbitration and for networking. 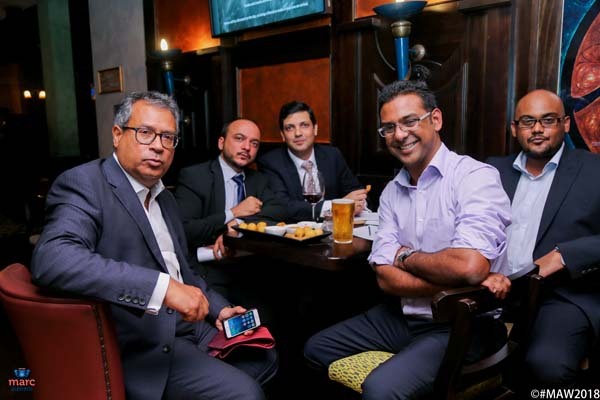 The Chartered Institute of Arbitrators Mauritius Branch can only support this type of initiative for the benefit of Mauritian Arbitration practitioners and looks forward to the next event, or the second edition of the Mauritius Arbitration Week." 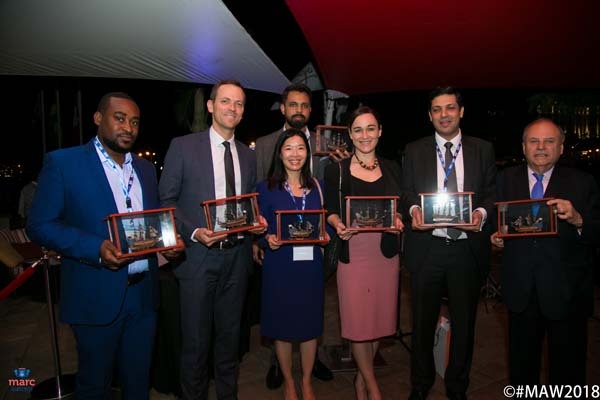 "The Mauritius arbitration week not only had leading practitioners speaking on the upcoming issues but also provided a great opportunity to meet fellow colleagues in an immensely beautiful set up. Definitely looking forward to the next one." 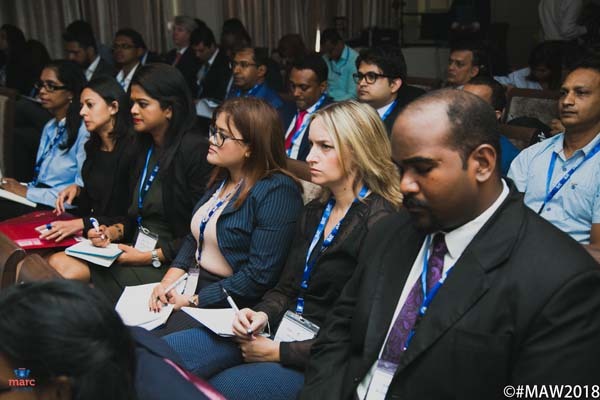 "The Mauritius Arbitration Week was one of the best international arbitration events I have attended. "The New Marc Arbitration Rules in Practice: A Snapshot" training session gave a really informative overview of the new rules and was very timely. This was a great educational course and I thoroughly enjoyed attending and speaking at the conference, which I must say was very well organised. It was a great opportunity to interact and share experiences with highly respected professionals in the arbitration field." 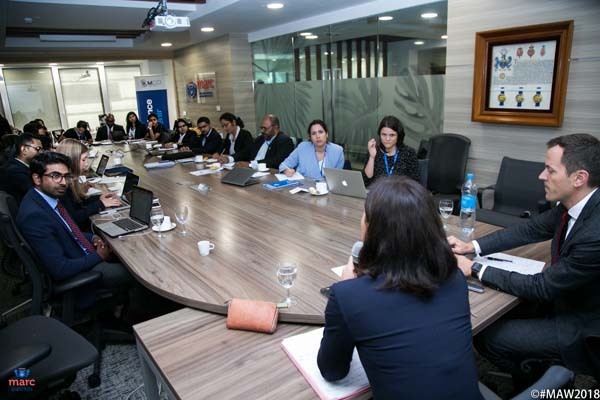 "The Mauritius Arbitration Week 2018 proved to be an enriching experience. The most memorable experience was engaging with both local and international arbitration experts as well as sharing my arbitration experience with these experts from an in-house counsel perspective. 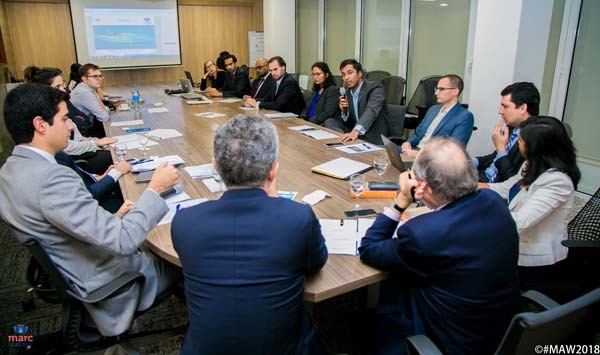 Moreover, as a prospective client in terms of retaining arbitration services (be it legal or administrative), it proved to be an ideal networking forum." "The rise of the ADR scene in Mauritius in recent years has been phenomenal, adding value to the global ADR community as a whole. 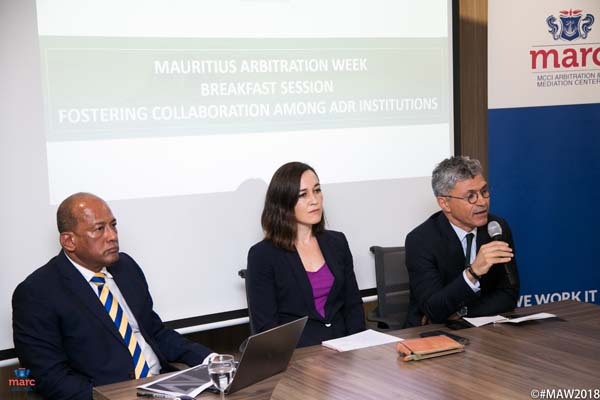 The organising of the 1st Mauritius Arbitration Week certainly fortifies this trajectory and I’m sure it will continue to set the right tone for years to come. It was pleasing to see so many key ADR figures gathered in Port Louis to share their thoughts and ideas, sparking insightful discourse. Had the pleasure in delivering several presentations myself with the essential message being; the future of arbitration definitely lies on a regional and collaborative approach with innovation and inclusiveness being important components. Looking forward to the 2nd edition of MAW!" 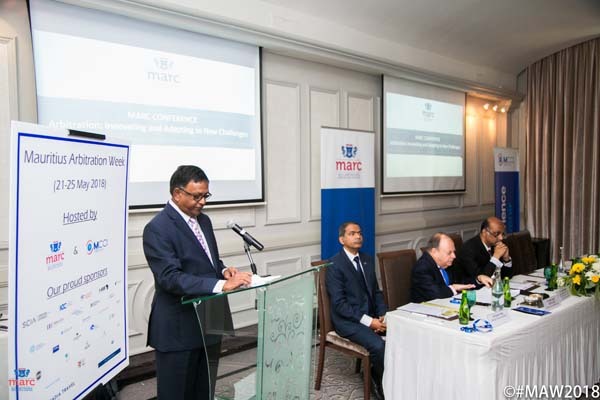 "Congratulations to MARC on its launch of state-of-the-art arbitration rules, together with a wonderful arbitration week conducted by leading Mauritian practitioners. With its excellent staff and support base, MARC is poised for great success in the region and I wish it all the best in its endeavors." 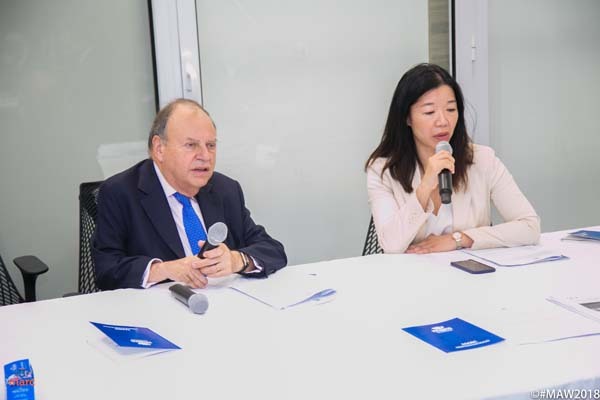 "CMS is proud to have been a part of the first edition of the Mauritius Arbitration Week in 2018. It was an incredibly well run and thoroughly organized event with a message and a purpose. It was great to discuss the future landscape of arbitration, in particular in the context of Asian-African trade and investments that will inevitably lead to disputes, and how Mauritius can continue to play a greater role in it. A special thank you to Neil Kaplan and the MARC team for all their hard work that made the week possible. 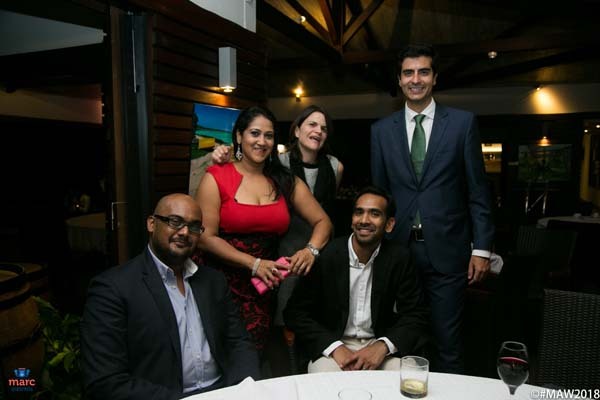 We look forward to next year and the continued success of Mauritius Arbitration Week." 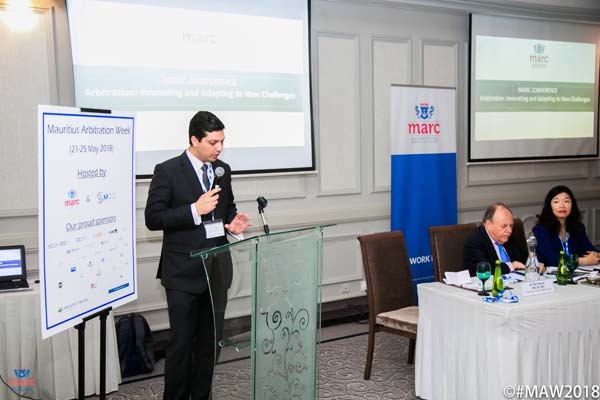 "It was an honour to participate in the first edition of the Mauritius Arbitration Week - celebrating MARC’s innovative new rules and Mauritius as a centre for international arbitration. MARC, under the leadership of Neil Kaplan QC and its advisory board, did an excellent job in engaging the Mauritian bar and a diverse group of international arbitration practitioners in lively and informative discussions on how arbitration counsel, working with their clients, can apply the new MARC Rules to minimise time and costs and improve efficiency in international arbitration. 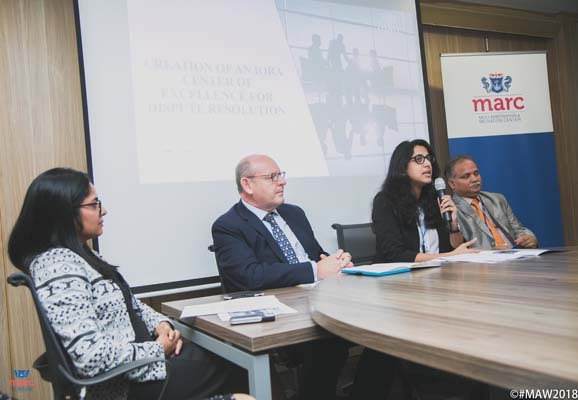 The first edition of the Mauritius Arbitration Week marks an exciting new chapter for both MARC and Mauritius as a centre for international arbitration, especially for disputes emanating from Asia and Africa." While on the island, don't miss the opportunity to enjoy some of its best sights, food and experiences. All rights reserved © 2018 The MCCI. 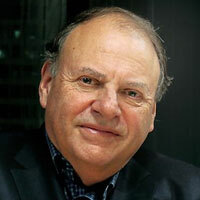 Mr. Neil Kaplan CBE QC SBS has been a full-time practising arbitrator since 1995.During this period he has been involved in several hundred arbitrations as coarbitrator,sole arbitrator or chairman. These arbitrations have included a wide rangeof commercial, infrastructure and investment disputes. Called to the Bar of Englandand Wales in 1965, Mr. Kaplan has practiced as a barrister, Principal Crown Counsel at the Hong Kong Attorney Generalâ€™s Chambers, and served as a Judge of the Supreme Court of Hong Kong in charge of the Construction and Arbitration List. From 1991 to 2004, he was Chairman of the HKIAC, and in 1999 - 2000, he was President of the Chartered Institute of Arbitrators. Since 1995, he has been a Council Member and now Governing Board Member of the International Council of Commercial Arbitration. Between 2012 and 2016 Mr. Kaplan was also a Member of the ICC International Court of Arbitration. 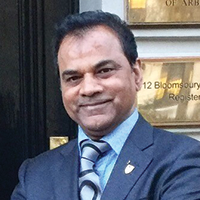 He is a Chartered Arbitrator and a Fellow of the Chartered Institute of Arbitrators, the Hong Kong Institute of Arbitrators, and the Singapore Institute of Arbitrators. 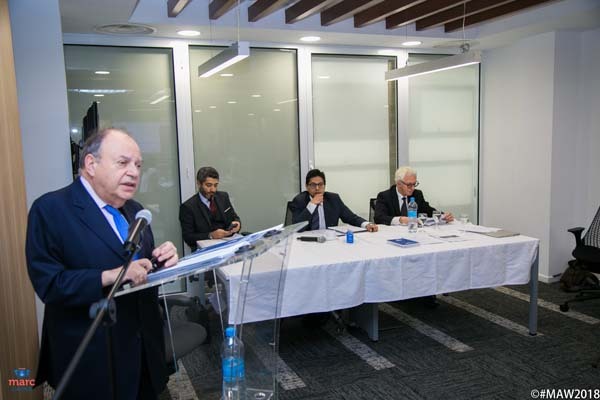 He is a panelist of several other arbitral institutions including CIETAC. 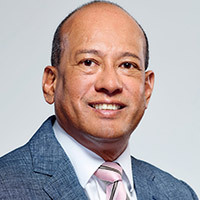 Since 2017 he has been the President of the Court of the Mauritius Chamber of Commerce and Industry Arbitration and Mediation Centre (MARC). 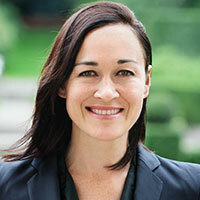 Sarah Grimmer is Secretary-General of Hong Kong International Arbitration Centre. She was formerly Senior Legal Counsel at the PCA where she served as tribunal secretary in multiple investor-State arbitrations and was appointed registrar in several inter-State arbitrations. Prior to joining the PCA, Sarah served for three years as Assistant Counsel at the ICC International Court of Arbitration in Paris. 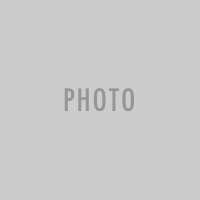 She was also a member of the international arbitration group at Shearman & Sterling LLP in Paris, prior to which she worked in private practice in Auckland. 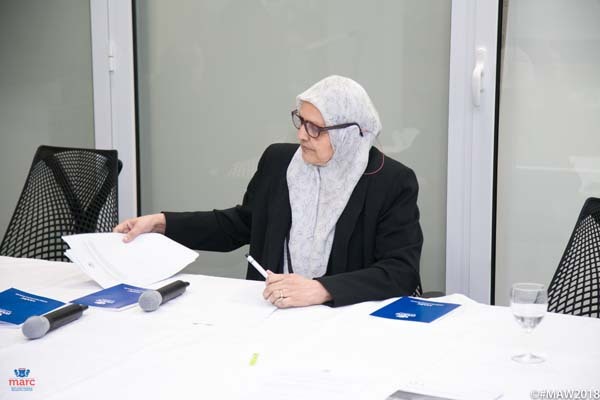 In 2015, Sarah was appointed to the Special Tribunal for Lebanon Disciplinary Board. 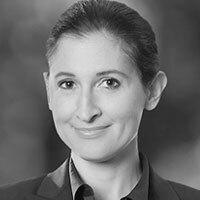 She is a member of the ICCA-ASIL Task Force on Damages (2016), ICCA Publications Committee (2015), the IBA Investment Arbitration Subcommittee (2014), New Zealand ICC Arbitration Committee (2014), and the IBA Arb40 Steering Committee (2013). She has an LLM from Cambridge University and an LLB/BA (Criminology) from Victoria University of Wellington. She is admitted to practice law in New Zealand. 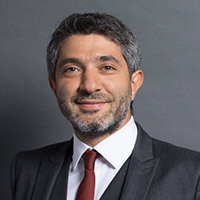 Sami Houerbi is the Director of the ICC Eastern Mediterranean, Middle-East and Africa ICC Dispute Resolution Services, where he is in charge of raising awareness about Alternative Dispute Resolution mechanisms throughout the region and promoting ICC Arbitration and ADR Rules. 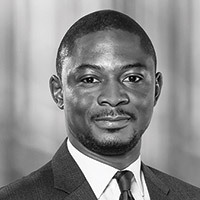 Prior to that, he was member of the Secretariat of the International Court of Arbitration in Paris, where he was directly involved in the administration and managing ICC arbitration proceedings. Mr Houerbi is a registered lawyer of the Tunis Bar Association and the Managing Partner of Houerbi Law firm, which areas of practice include mainly: Corporate Law, Arbitration and Litigation. Sami Houerbi acts regularly as arbitrator under ad hoc and various international arbitration institutions. 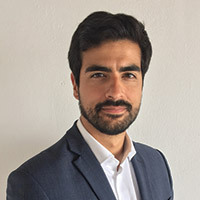 He holds a post-graduate degree in international law from the University of Paris II and an LL.M in German Law from the Ludwig-Maximilian University in Munich. His working languages are Arabic, English, French and German. 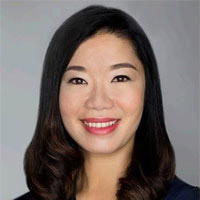 Cheng-Yee specialises in international arbitration, having represented parties in international arbitrations at Freshfields Bruckhaus Deringer in Paris and administered over 800 arbitrations as director and counsel of the ICC International Court of Arbitration Secretariat in Hong Kong. She is qualified to practise in England and Wales as well as Malaysia. Her career to date spans London, Paris, Kuala Lumpur and Hong Kong. 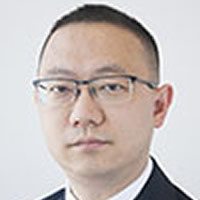 Cheng-Yee recently joined IMF Bentham, an arbitration and litigation funder with offices worldwide. She is based in Hong Kong. 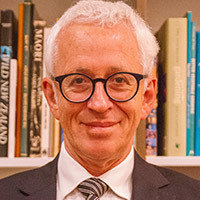 Roger Wakefield has been a director in Werksmans Attorneys Litigation and Dispute Resolution Department since 1996. 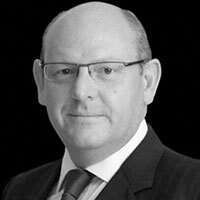 Roger specialises in major commercial litigation with a focus on health, pharmaceutical & life sciences and technology. 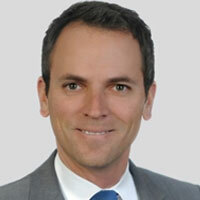 He has in depth expertise in cross-border disputes, enforcements of foreign judgments, private international law and commercial litigation in the United States. 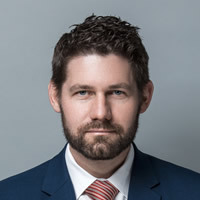 He is also skilled in arbitration, mediation and alternative dispute resolution; IT litigation; administrative law; intellectual property law, trade marks & copyright law; healthcare and health funding; mining law; and corporate fraud. Roger has been involved in a number of foreign judgment cases that are now leading authorities in South African law. He is named as a leading commercial litigator in The International Who's Who of Commercial Litigators and in Best Lawyers. 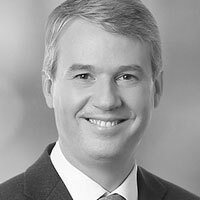 Nicolas Wiegand, Managing Partner at CMS Hong Kong, is specialised in commercial, construction and investment arbitration. 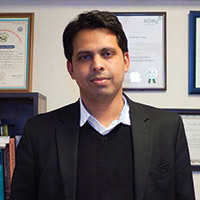 He has acted as counsel and arbitrator in over a 100 large-scale disputes under all major institutional rules and in ad hoc disputes. 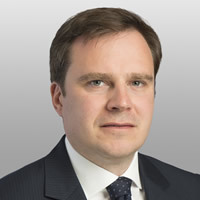 He has also advised on and participated in a number of disputes involving states and state-owned enterprises, in particular in Asia and in South East Europe. 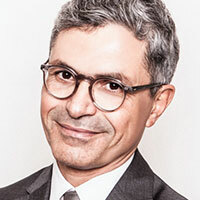 Nicolas is, inter alia, recognized as one of the "Best Lawyers" for 'Arbitration/Mediation' (in the international publication "Best Lawyers"), and features in "Who's Who Legal in Arbitration". 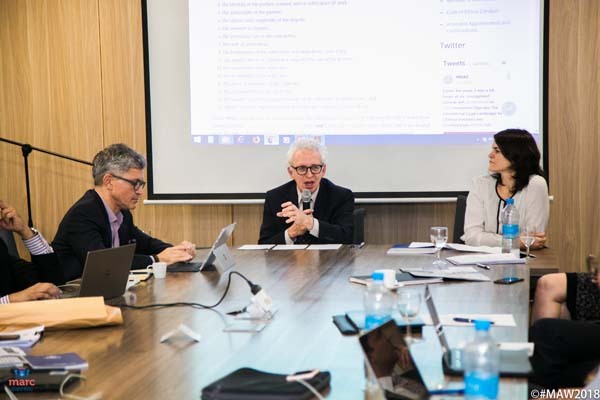 He is an author and frequent speaker on international arbitration matters and on the panel of arbitrators of the most important arbitral institutions. Dr. Jamsheed Peeroo is a dual-qualified barrister (UK & Mauritius) and holds a PhD in international arbitration law from the Sorbonne. He has worked on many arbitrations at Freshfields Bruckhaus Deringer in Paris, at 3VB in London and at Peeroo Chambers in Mauritius. He has taught arbitration law and was closely involved in preparing draft procedural rules governing arbitration-related claims before Mauritian Courts. He currently splits his time between London and Mauritius. 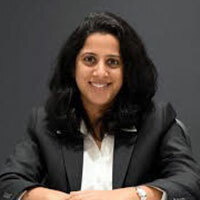 Prior to joining MCIA, Neeti has extensively worked in the field of International Commercial Arbitration, both as a private practitioner representing clients and as an administrator, facilitating the dispute resolution procedure. Neetiâ€™s past professional experience includes working with some of the top Indian Law Firms like Trilegal and Economic Laws Practice. She has also worked at the International Arbitration Department of Freshfields Bruckhaus Deringer Paris Office, besides being judicial clerk for Justice Gita Mittal and Justice Muralidhar of Delhi High Court. Neeti has also worked with LCIA India as its First Deputy Registrar. She is also active in the academic circle and is an academic advisor at KIIT Law School, Orissa. Neeti is also a guest faculty at National Law University and at the Indian Law Institute, New Delhi. She was the Asia Pacific & Australasia Representative of YIAG, LCIA and a member of the steering committee of the Young ICCA Asia Pacific Desk. Ms Sachdeva has obtained a Masters in International Commercial Arbitration from Stockholm University, and has also undertaken a course in Private International Law from the Hague Academy of International Law, The Hague. She is regularly invited as a speaker at various conferences and conducts workshops in the field of arbitration. She also acts as arbitrator in commercial matters. 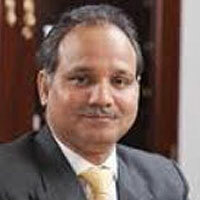 Dr. Rajesh Sharma is currently teaching at RMIT University, Melbourne, Australia. Before that he was Assistant Professor at School of Law, City University of Hong Kong. 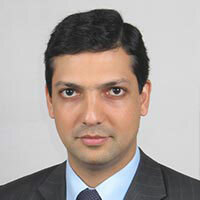 Dr. Sharma has taught courses on arbitration, mediation, negotiation, foreign investment arbitration, WTO Law, international trade, banking law, foreign investment in Hong Kong, Macao, India, Australia, China and Africa (where he is associated with the Institute for Legal Excellence in Uganda). He has served as the Legal Advisor to the Macau University of Science and Technology. 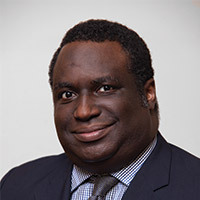 He has advised transnational companies on trade and investment policy in China and has done training courses with and for the WTO and UNITAR. 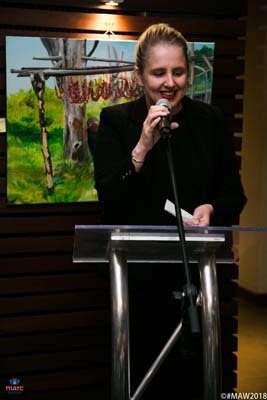 Anne-Sophie is a practising barrister at the English and Mauritius Bar and a non-practising barrister at the Paris Bar. She has 15 yearsâ€™ experience in international arbitration having worked in this field as an associate in London for 9 years as part of the Dispute Resolution Department of American law firms Skadden Arps and Weil Gotshal and thereafter in Mauritius as a self-employed practitioner. 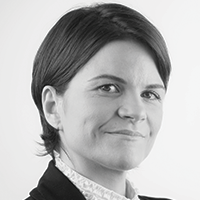 Anne-Sophie is a Fellow of the Chartered Institute of Arbitrator and sits on the Management Committee of its Mauritius Branch. She has been actively involved in the promotion of international arbitration in Mauritius and of Mauritius as an international arbitration centre abroad, speaking at numerous conferences and having had various committee roles within arbitration institutions (ICC YAF, CIArb and the LCIA-MIAC). Anne-Sophie has acted as Counsel in ad hoc as well as institutional international arbitrations (PCA, ICC, LCIA, FOSFA and MARC) relating to disputes governed principally by English, French or Mauritian law and has acted in or advised on several investment treaty arbitrations involving African States )ICSID, UNCITRAL, SADC Investment Protocol). Anne-Sophie teaches international arbitration at the University of Mauritius as part of PanthÃ©on Assasâ€™ LLM in International Business Law in Mauritius and is a former lecturer on the subject at the University of Mauritius. 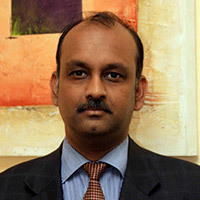 Anand is a Chartered Arbitrator, a Professional Quantity Surveyor (local regulating council), a Chartered Quantity Surveyor and a Registered Adjudicator with over 30+ years of professional experience in Arbitration, Quantity Surveying, Claims & Dispute Management, Project & Programme Management in UK, Mauritius, Dubai, Malaysia, India, Congo, Cameroon and Gabon. 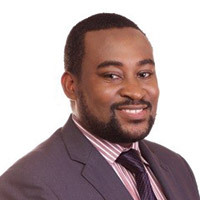 He has also a good legal background and holds a Masterâ€™s degree in Law as well as a Bachelor in Law. 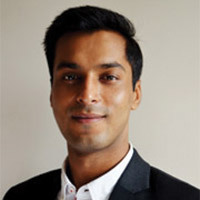 Anand has extensive knowledge in Construction & Engineering Law and has drawn up many claims for extension of time (including defence thereof), loss and expense as well as negotiated settlement on both sides of the industry on various forms of contract. 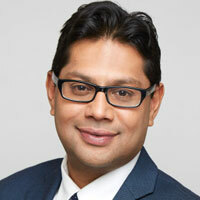 Anand is well versed in the Mauritian Napoleon Code, French Construction Law and English Construction Law. He works confidently in an English / French speaking contractual environments. With more than 180 arbitration lawyers globally, we have the largest international arbitration practice in the world. Our lawyers are based in the key arbitral centers of New York, Washington, DC, London, Paris, Geneva, Stockholm and Singapore, and we have significant on-the-ground arbitration capability in Mexico City, Miami, Frankfurt, Warsaw, Moscow, Hong Kong, Seoul, Sydney and beyond. 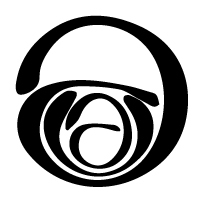 DaHui Lawyers is committed to practicing law at the highest international standards by providing innovative and practical legal solutions to PRC and international clients across a broad range of industries and legal environments. Operating from our two offices in Beijing and Shanghai, we are counselors, strategists and advocates for China's leading companies and the world's leading companies in China..
DaHui Lawyers is committed to practicing law at the highest international standards by providing innovative and practical legal solutions to PRC and international clients across a broad range of industries and legal environments. Operating from our two offices in Beijing and Shanghai, we are counselors, strategists and advocates for Chinaâ€™s leading companies and the worldâ€™s leading companies in China..